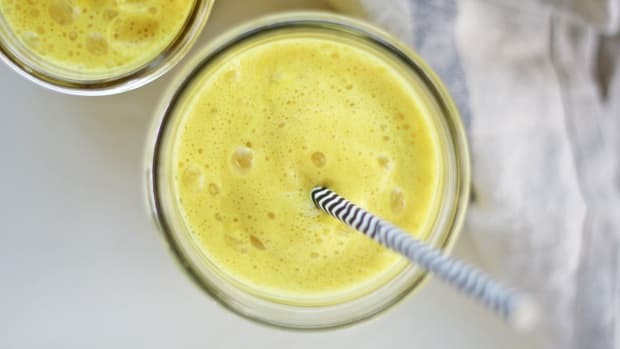 There’s a buzzy, frothy, and healthy way to wake up in the morning that doesn’t involve coffee. 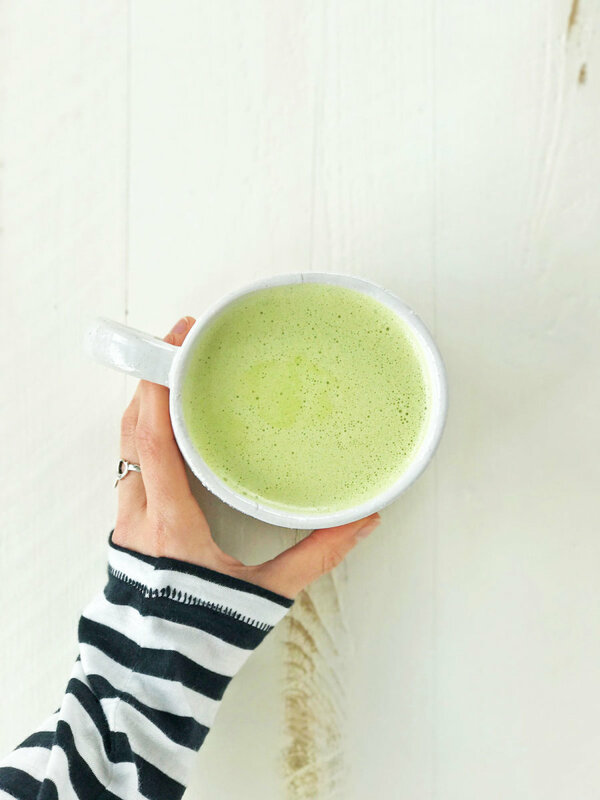 This vegan matcha latte is a seriously delicious way to gently boost your energy, without the need for any fancy latte tools or equipment. With just a high-speed blender, four ingredients, and less than five minutes, this matcha latte is ready to be sipped and savored. 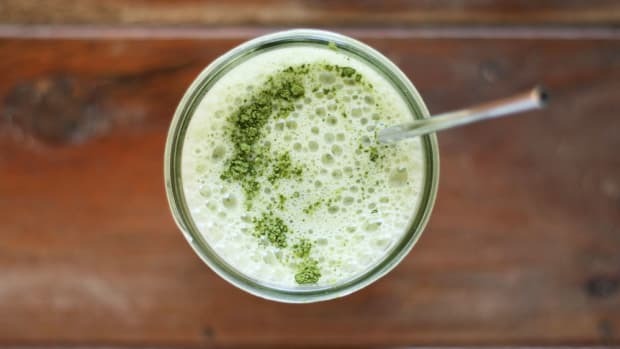 Unlike other tea-based lattes, which are made from steeped tea bags, this trendy beverage is made with matcha green tea powder. 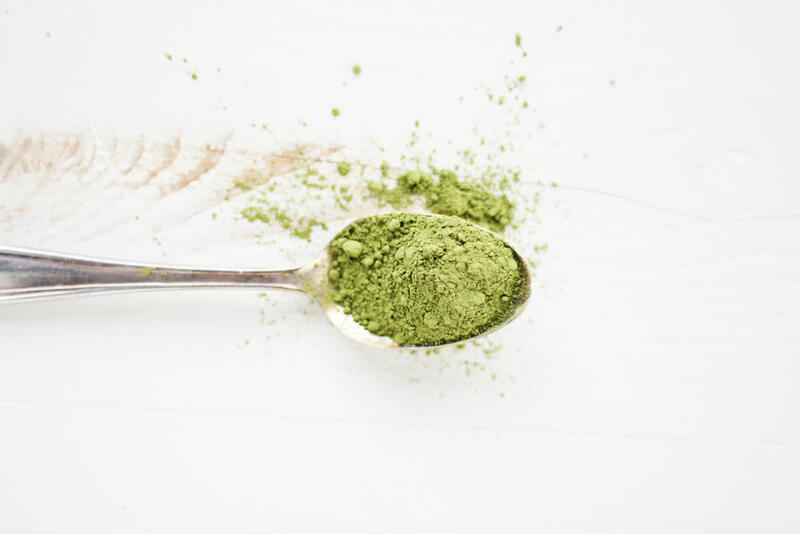 Matcha powder comes from steamed and dried whole green tea leaves, which is why this striking green powder has so many associated health benefits. 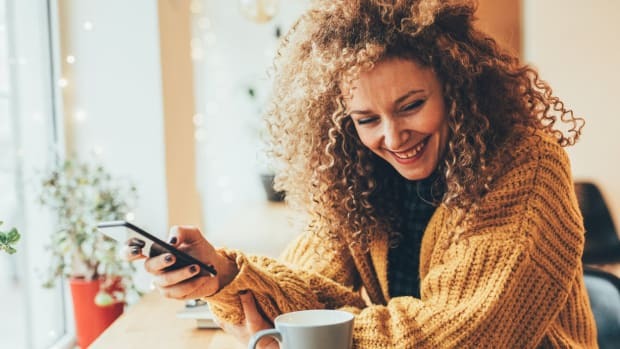 Matcha is filled with antioxidants and powerful plant compounds that have anti-carcinogenic properties, specifically their potential to induce cancer cell death and inhibit cancer cell growth, according to a 2008 review published in Chinese Medicine. This includes bladder, breast, colon, rectal, and prostate cancer, according to the review. These antioxidants are also potent free-radical scavengers, which help to prevent and reduce damaging oxidative stress to cells and DNA. When purchasing matcha powder, look for quality over quantity. Matcha powder should be certified USDA organic and stored in a sealed, airtight container. Matcha is very light sensitive, so avoid packages that show the color or product itself. Many tea professionals and experts note that matcha tea powder should only come from Japan, and matcha tea products that do not are not of high quality. Matcha powder comes in a variety of qualities, or grades. The highest grade is ceremonial, followed by classic, café, and kitchen grade. Ceremony grade boasts the highest price tag and is usually made and harvested with expert care. Kitchen grade is still of good quality, but is recommended for use in baking, desserts, and other recipes. 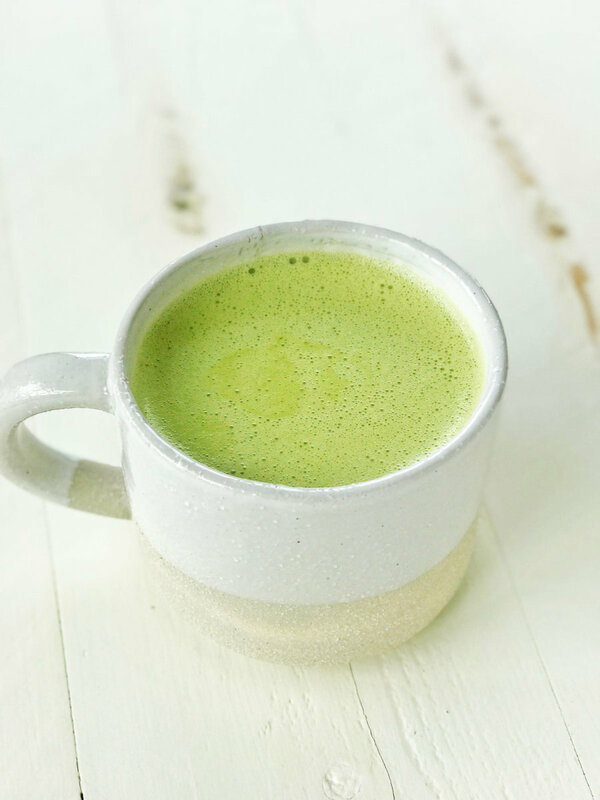 For this matcha latte recipe, I suggest using classic or café matcha tea grades, which will deliver a delicious taste and still boast numerous health benefits in every sip. 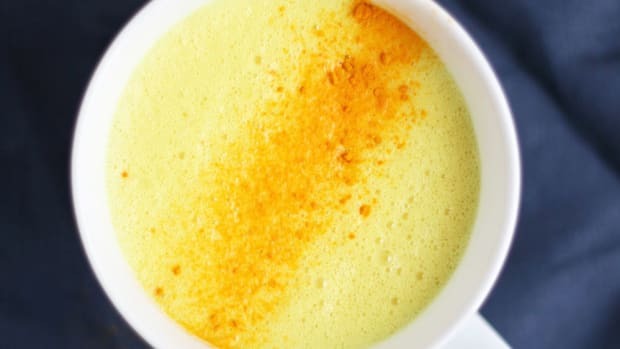 Whipping up this matcha latte couldn’t be easier. 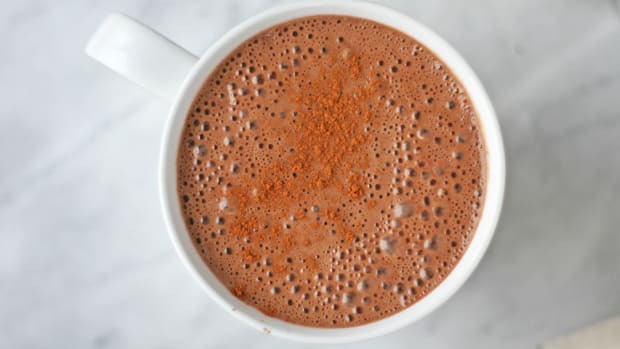 Simply warm plant-based milk of choice (almond, cashew, soy, coconut) on the stovetop and place all other ingredients (matcha powder, coconut oil, and maple syrup) into a blender. 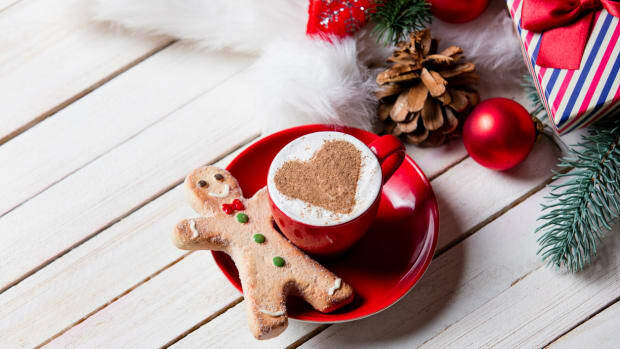 Using a high-speed blender helps to create the frothy goodness associated with lattes. 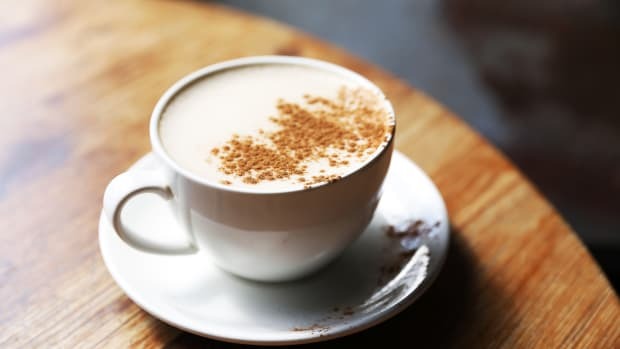 Although a high-speed blender isn’t required, it helps to make this latte extra creamy and frothy. If you want to give your matcha latte even more of a superfood boost, add in a few teaspoons of elixirs and potions before blending. 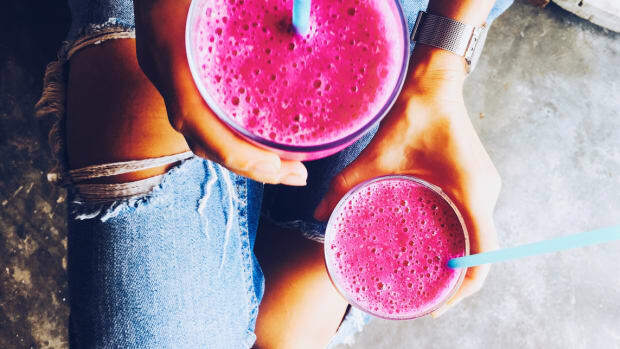 Delicious and turbocharged ingredients include maca powder, medicinal mushrooms like chaga or reishi powder, collagen powder (not vegan), adaptogenic powders like ashwaganda, or even a tablespoon of coconut butter for extra creaminess. Place milk in a saucepan on the stove and bring to a near boil. In the meantime, place matcha powder, coconut oil, and maple syrup in a blender. Pour hot milk into blender and blend on high speed for 40-50 seconds. Add in more maple syrup to taste. Pour into a mug and enjoy immediately.